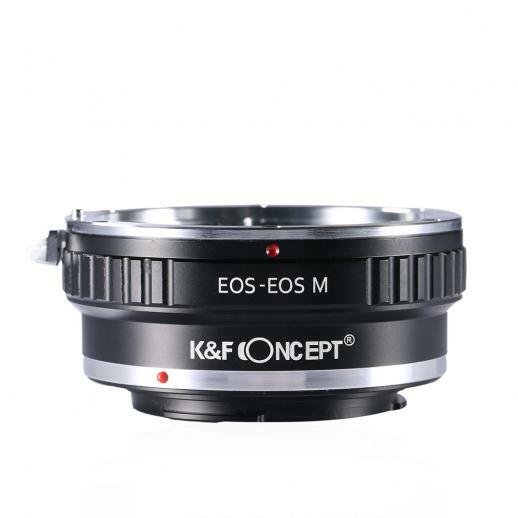 KF Lens Adapter Mount EOS - EOS M Allow Canon EOS EF, EFS mount lenses used on Canon EOS M mirrorless camera body. Compatible with Canon EOS M camera includes: Canon EOS M, M2, M3, M5, M6, M10, M100 etc. Made of brass and aluminum. Stable,precise and durable construction.Manually operated.Infinity focus allowed. For heavy medium format lenses, we suggest to use with a telephoto bracket and a tripod to balance its weight when shoot.